Today word came that the central region of NoR named Remembrance came back on line. It isn’t the same build. But, it has the same name. More to come… but not tonight. Posted in Games, Second Life. Tagged Land of NoR. The ticket to purchase Remembrance has been submitted and the others who were going to take over a sim have been informed in IM. Lets hope this goes without much issues and Ill be building Remembrance somewhere next week. What is going on with NoR? Yesterday I got the content of NoR Management’s main message published. There were questions asked and answered at the meeting. Since this is a free form spontaneous DARK role play (RP) game (RPG) taking place in a post apocalyptic world with combat, demons, angles, vampires, lycans, humans and more mixed together… there is drama, in and out of character. And the meeting did devolve into drama as most RP things do. But, we did get some answers to questions. Many of us have played in NoR over the years. If you follow me you know the 9 regions that make up the NoR world shut down. We got a little bit of the story behind the shut down. But, if you have dealt with Linden Lab you something doesn’t sound right about the explanation given. Today we got the rest of the story. Today at noon SL Time there was a meeting for Norians. I got there early and managed not to crash. So, I got a transcript of the meeting. Voice chat is not a part of NoR role play so it is expected that the meeting would be in chat. SL being SL the main speaker couldn’t make it into SL. [2015/09/18 12:10] LONBot: Biz is unable to login at the moment, seems she is “unable to connect to a simulator” but this will do just as well. Posted in Games, General News, Second Life. Tagged Land of NoR. One of the first role play combat games I came across in Second Life™ was NoR. So, while I seldom play there now, I have a spot in my heart for NoR. The regions making up NoR are shutting down. People that have stuff in the regions have less than 24 hours to get it out. Drop dead time about 11AM SLT 9/18. If you know people that play in NoR, let them know. Email them, call them, whatever and let them know the clock is running. 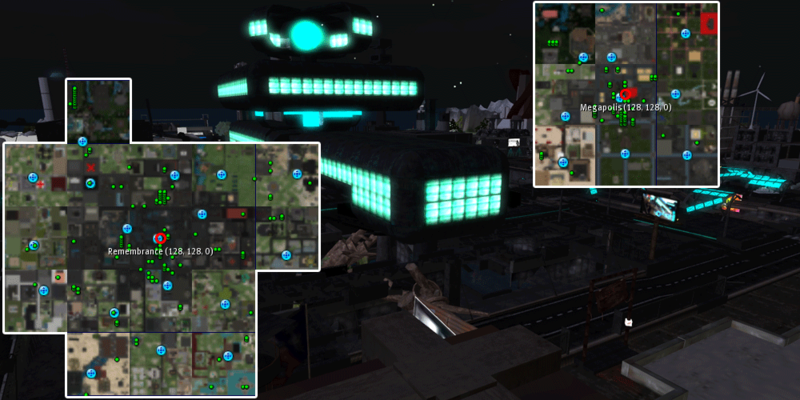 This post is about the insides of the RPG’s within Second Life. The largest and, what until now, most exciting game in SL has changed its combat/RP system. What does a meter change mean to a game? Land of NoR (Nation of Remembrance) is self described as a Dark RPG with combat. Previously it used the WARPS (now XRPS – NextRPS) combat system. For two years this 29 sim RPG used WARPS. Now for various reasons Land of NoR (LoN – do we have enough acronyms yet?) begin upgrading the WARPS to XRPS and is now changing to DCS2, another combat system. Why? Posted in Game Development, Second Life. Tagged Land of NoR. Land of NoR (LoN), a Second Life RPG, has been working on an improved combat and RP system meter. The one in use is called WARPS, standing for Weapons and Role Play System. In July use of the experimental XRPS version of WARPS started. There are several changes being tested and several questions have come up. You can follow the discussion in the Land of NoR forum. If you have not noticed, going into SPAR (/9 spar) forces a save of meter stats. That is important to know as the meter only saves every so often. A SL or viewer crash or other forced relog can possibly force your meter back to the last saved status. Going into spar and back to combat status does a save and reload of meter stats. Posted in Game Development, Second Life. Tagged Land of NoR, RPG, Tutorials, WARPS, XRPS.